Tolkien's famous saga, the prelude to The Lord of the Rings, has all the ingredients of fantasy and adventure: dwarves, elves, goblins and trolls, a fearsome dragon, a great wizard, a perilous quest, and a dramatic climax. This radio dramatization became a classic when it was first broadcast on BBC Radio, and it continues to delight today. Bilbo Baggins, the hobbit, is a peaceful sort who lives in a cozy hole in the Shire, a place where adventures are uncommonand rather unwanted. So when the wizard Gandalf whisks him away on a treasurehunting expedition with a troop of rowdy dwarves, he's not entirely thrilled. John Ronald Reuel Tolkien was born on January 3, 1892. His mother died when he was twelve, and he and his brother became wards of the local priest. When a professor at Oxford, he wrote stories for his children telling them the story of "The Hobbit." 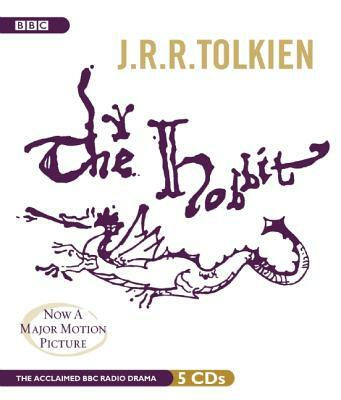 When his publisher asked for a sequel to "The Hobbit," he wrote "Lord of the Rings," which took twelve years to complete. He died in September 1973.